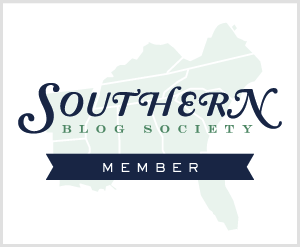 Elle Sees|| Beauty Blogger in Atlanta: What's On Sale At ULTA! 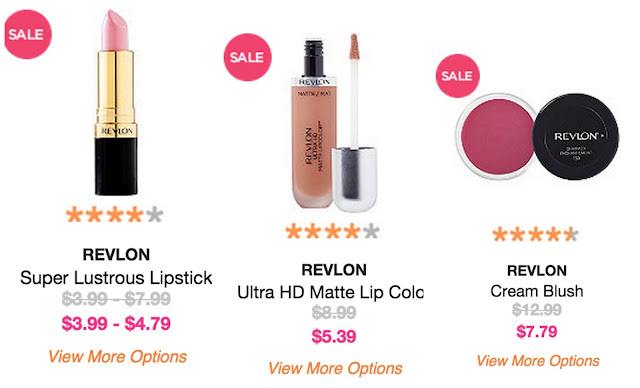 What's On Sale At ULTA! I'm back from Cancun! I'm not doing a recap post, since I kinda went crazy posting pics on Snapchat and Instagram. I had the best time! I'm slowly getting back into the swing of things, and I'm thinking a trip to the pool or to ULTA will win out today. Speaking of ULTA, I thought I'd start a new series of what's on sale at ULTA--but only the good stuff, products that I really like. Get your shopping list ready! I picked a few items from brands that are on sale--there are MORE of each brand--click here to see what's on sale! MoistureSmooth Color Stick--Smells like watermelon (to me) and has SPF, plus there are new colors. I brought them with me to Cancun and wore them every day. Physicians Formula--I think this brand is WAY over-priced, so now is the time to snag them on sale. Concealer Twins 2-in1-- Use this yellow concealer for redness. I've been using this forever! Concealer Rx--Comparable to one from MAC. Matte Collection Quad--I've mentioned this a couple of times, but if you want a basic matte palette, pick up a couple. I like them for transition shades. Butter Bronzer--You saw this on my Snapchat at the end of March and I've been using it practically every day. I love it for a natural bronzer. It comes in 2 shades, and I prefer the darker one. Plus, it smells like coconut! Cetaphil--Great basic skincare, with moisturizers and makeup removers. Lipsticks--check the finish on these, but there are mattes and super lustrous shades that are gorgeous! Ultra HD Matte Lip Chic--A creamy "matte," meaning it's super wearable and doesn't dry out lips. Cream Blush--My favorite cream blush. Straight up, the rainbow barrels and ombre handles function the exact same as the usual HT curling irons, but are usually $10-$20 more. But right now they are on sale, so grab one if you want! Also on sale are their speciality sizes for barrel length and width. If you have really long hair, you need the extended barrel! So most of this list was drugstore, but I had to share a high-end brand! These lipsticks come in 3 finishes, and are unfortunately being discontinued. BUT they are SO good. You can read more about that here, but they released 100 lipsticks for their new VICE line. Again, no guarantee what will be in stock and for how long, so stop by ULTA today! What would you pick up from ULTA? Why are the revolution lipsticks being discontinued!? They're amazing! 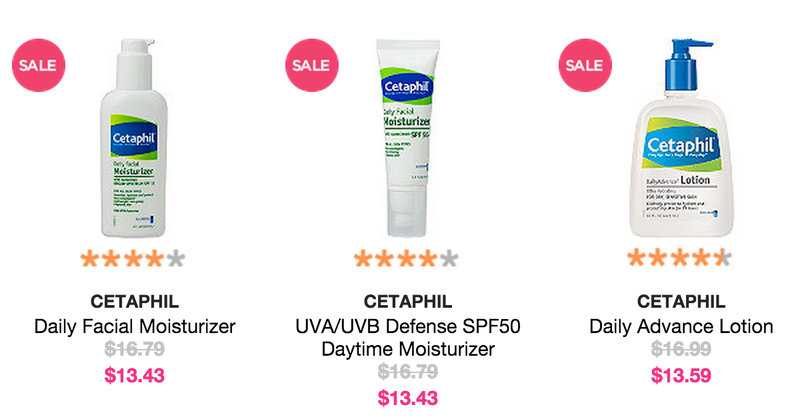 That is a great deal on the Cetaphil face was! Loved all your Cancun pictures, looks like a blast! Wow, so many good products on sale! I'm all about Cetaphil and Neutrogena! I've been really interested in trying those Revlon lip matte colors. Thanks for the sale alert! That Neutrogena eye makeup remover is one of my faves. I should stock up! Thanks for the heads up and welcome back Elle! Welcome back! Loved seeing your pics on IG! 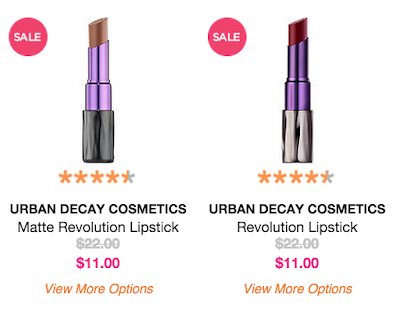 That is such a great price for the Urban Decay lipsticks! I need to check out that butter bronzer! Welcome back! I'm glad you had fun. I went to Ulta once. They had a lot of nice things. I recently discovered that there's an Ulta near my job (how I didn't know it was there before, I'll never know! ), so I can't wait to go tomorrow to check it out! I think Physicians Formula is over priced too, but I do love the Butter Bronzer. When I bought it, there was a peel off coupon for $4 which was great. I'm in need of a cream blush so I'm going to have to check this one out. I love the Revlon HD Mattes too. My sister gave me her Ulta bday coupon so I'm dying to go. I enjoyed your Cancun snaps and living vicariously. Glad you're back and that you had a great trip! I agree with Shireen...wish we have ULTA here:( Much better sales, and there are some stuff there that Sephora doesn't carry here I think. 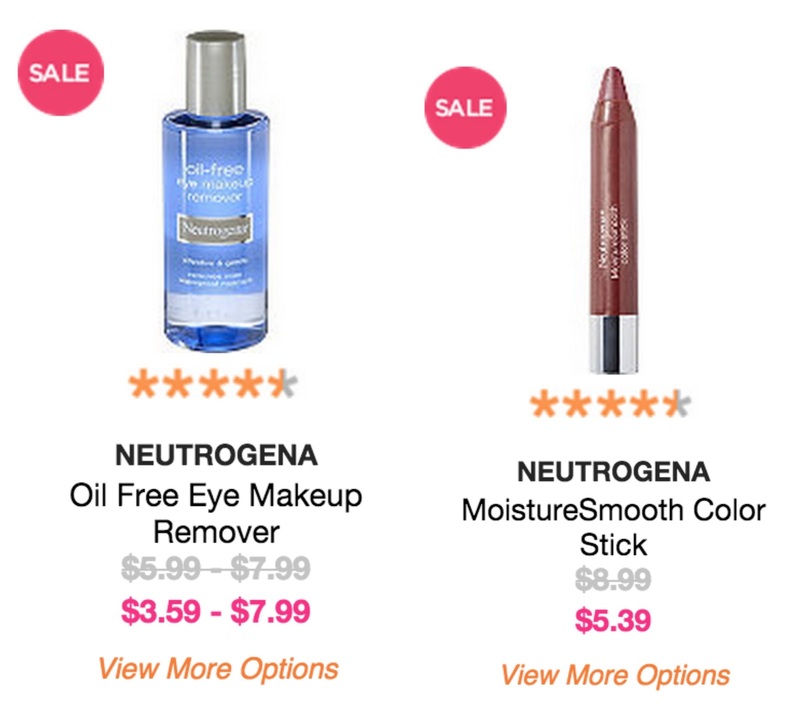 I love Neutrogena, so I need to check out those sales. I've had some success with a few Physician's Formula products too, I need to try that double-sided concealer! Glad you had fun on your trip! 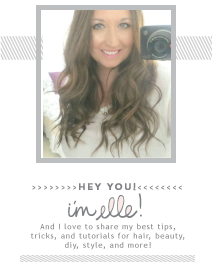 I love that Butter Bronzer and Hot Tools curling irons are awesome! I love Physician's Formula bronzers. Such a cheap and chic grab! I love Ulta, they have such great deals and their points system is amazing! I bought the Lorac Pro 3 over the weekend and I ALMOST bought 2 of the UD lipsticks, I LOVE them and the colors in the Revolution line are in the Vice line (same finishes too, just different packaging.) Well from what I've seen at least. Glad you made it home safely from Cancun, loved your snaps and pics on IG! I hope you enjoyed your stay. Whenever I see posts like that I get so jealous. The products and the deals are amazing, a makeup lovers heaven. We don't have anything similar in Germany. Love all these sales, so many good brands! I've been curious about the butter bronzer from PF. 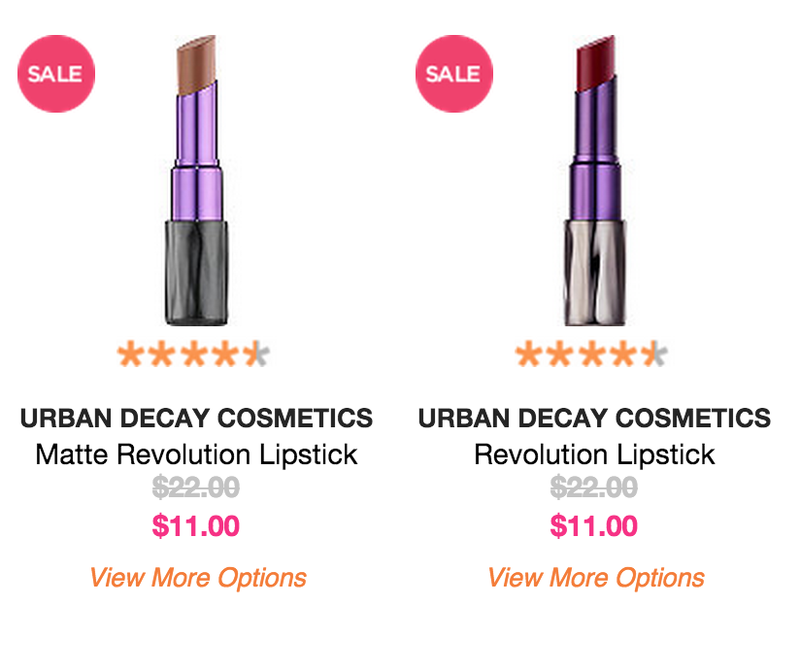 And that's such a great deal for the UD lipsticks! In so glad you had a great time in cancun! Ulta had some great items on sale! I'm kind of glad that I didn't have a chance to check out the sale because I'm sure that I would have bought way too much! I loved, loved, loved all your snaps from Cancun! Made me feel like I was there with you! You are the second person today that I've read about the Butter Bronzer. Sounds like I need to check it out! I LOVE a good sale! I too have worn that bronzer seriously like every single day since I purchased it! Wow, you are back! And how great that you have wonderful days in Cancun! I loved this post, because I like Cetaphil, Neutrogena and Phsysicians Formula - but I didn't know about that yellow concealer, and now I want it very much! Stop tempting me with all the goodies!!!! I really want that bronzer. So many people have been gushing over it! I have a few hot tools items, love them! It looks like you had a wonderful vacay, I enjoyed seeing all your Insta snaps! welcome back! glad you had a good time, i loved following along. i just placed an order at ulta the other week.. they have awesome sales sometimes. but i'm trying to be good today! I loved all your Cancun pics!! Looks like you had a wonderful trip, lady! Also thanks for this list! Knowing which things to buy while they're on sale is invaluable!